Congrats to Joseph Zagrapan on being the lucky winner of the Dustin Poirier 2018 Topps UFC Knockout Tier One Relic Purple Parallel #’ed/25. Once Joseph Zagrapan sends me his mailing address, I will ship this card ASAP. Thanks! This contest is for a Dustin Poirier 2018 Topps UFC Knockout Tier One Relic Purple Parallel #’ed/25. Good luck!!! This contest will end Friday, September 21, 2018 @ 8:00 p.m. EST. Its been three years since I’ve gotten my hands on a box of UFC Knockout. The first box of this stuff I opened was in 2015, and I pulled a monster hit. 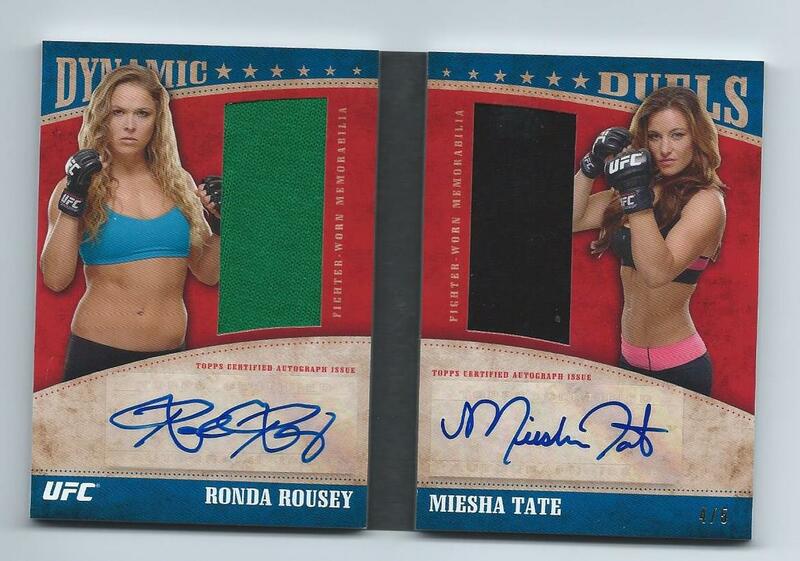 That Ronda Rousey/Miesha Tate Auto/Relic Booklet #’ed/5 was insane. It is also one of only a few booklet cards I’ve pulled. 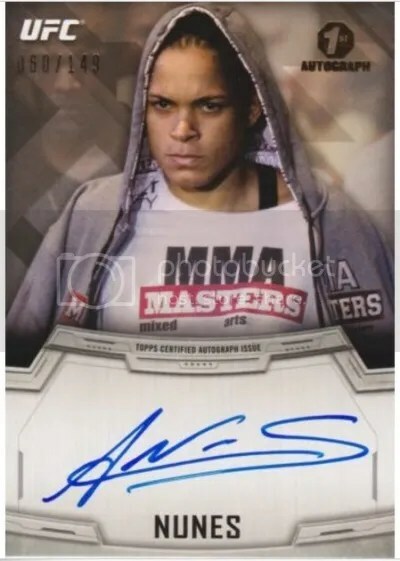 Topps has done really well with it’s line of UFC products. Boxes of their first UFC product, Round 1, continue to sell for a decent amount. Upwards of $250 to $300 in most cases. For a premiere flagship product nine years after it’s debut, I consider that very good. Sometimes this can happen with new products. The same thing happened to 2006 Allen & Ginter. If you’re a UFC fan or just want to open a box full of hits, Knockout is totally the product for you. Each box comes with (4) packs. Inside every pack you’ll find (2) hits. That is a total of (8) hits per box. A master box goes for about $130. Considering all the hits you’re guaranteed, that isn’t too bad of a price. When a product is configured like this, the base set isn’t what most box breakers are after. With that being said, there is a base set to put together. It consists of (100) cards. Parallels that you can pull include Green #’ed/199, Blue #’ed/99, Red #’ed/8, and Gold #’ed 1/1. You should get (8) parallels in every box. Outside of the base set and it’s parallels, there is one insert. These come in the form of Notable Knockouts. There are (10) cards in this set. Although they aren’t serial numbered, only (100) copies of each card were printed. 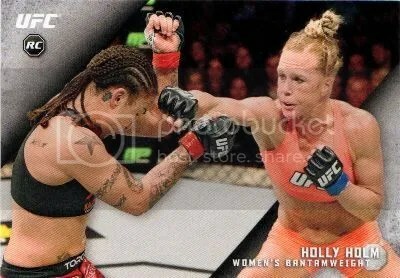 The photos Topps used for these are fairly intense and show a lot of action. Hits! Hits! Hits! That certainly is the focus of UFC Knockout. I enjoy the Tier One Autographs signed in gold paint pen. The AKA Ink set is nice looking too. I’m a big fan of cards featuring dark backgrounds and paint pen signatures. Lots of big names. 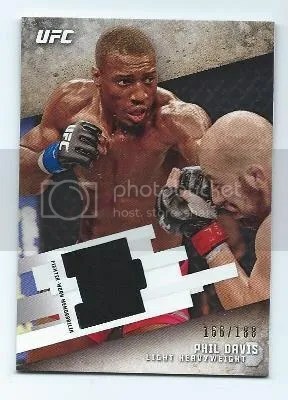 Congrats to dawgpaws on being the lucky winner of the Phil Davis 2015 Topps UFC Knockout Relic #’ed/188. Once dawgpaws sends me their mailing address, I will ship this card ASAP. Thanks!